Choosing the appropriate activity for any date night can be a little tricky (especially on the first date). Dinner and a movie is the norm, a “night out on the town” can get a little dodgy depending on the “datee”, and getting too risqué (with your date night choices) can send your significant other fleeing in the other direction. 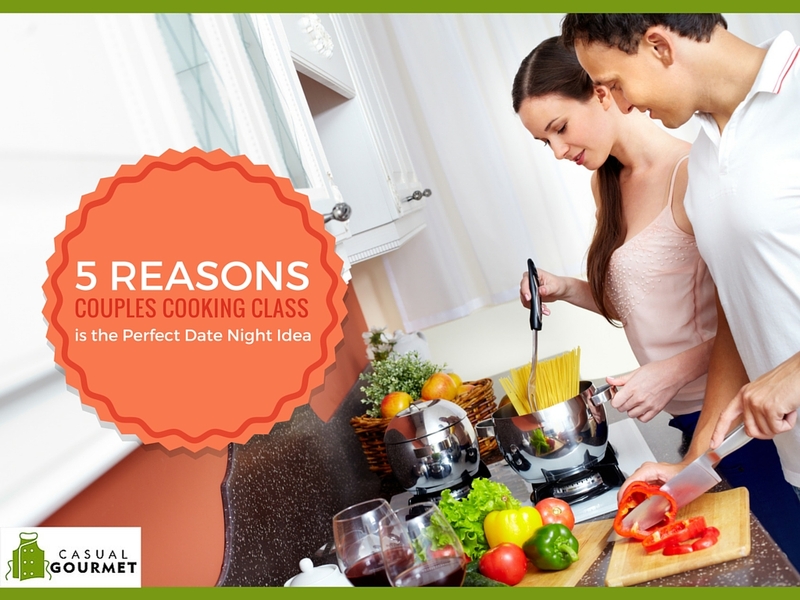 If you’re looking for safe, fun, and exciting date night ideas, why not try a couples cooking class? Here are 5 reasons a couples cooking course is the perfect date night idea. No matter your ability level in the kitchen, you’ll fit right in to a couples cooking class. Whether your skill level is burning toast or making delicious tostadas, there will be something for you to learn from a chef-instructor at a couples cooking class. 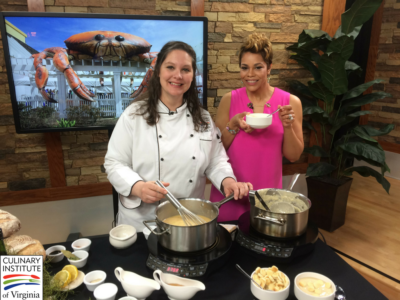 You won’t find yourself fumbling through a recipe or trying your best to understand what ingredients to use, but you will find hands-on teaching from a world-class, experienced, professional chef who will guide you step-by-step through the cooking process. Most assuredly, if you act like you know what you’re doing you’ll impress your date. If you’re the type of person who falls into a date night routine of monotony, look no further than a cooking class. Cooking classes are always different; plus you’ll find something new in each class and you’ll get to bond with your significant other. 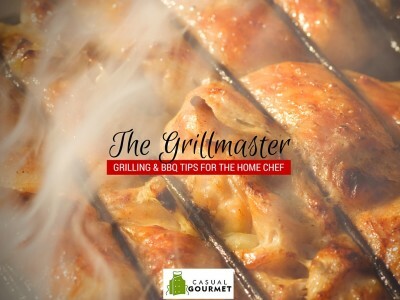 The professional chef-instructor can coach you through making anything from a perfectly cooked filet mignon to a raspberry cheesecake all while guiding you through how to use the kitchen and its wares. Whatever the situation, you’ll be able to find a class that fits both you and your date’s tastes, skills, and appetite. Whether you’d like to admit it, your relationship is team-based. (And if it’s not, maybe a couples cooking class is the answer!) Whether it’s your first date or your hundredth, you’ll have to work with your partner to prepare, cook, and ultimately enjoy a meal in an environment out of the comfort of your own kitchen. Regardless of your relationship status, you’ll find that the teamwork involved in cooking a chef-inspired meal will bring you closer to your partner and might even teach you something about one another. There’s nothing that puts a damper on a home-cooked dinner date meal than having to wash and put away the dishes afterwards. Not having to do dishes is always a plus for dinner dates, but more importantly, you get to do all of this “dirtying up” in a professional kitchen under the supervision of a trained, experienced chef-instructor. Learning to cook with your partner with quality cookware in a controlled, professional environment will teach you how to cook the right way with the proper equipment. If you’re already a pro in the kitchen, you’ll learn a thing or two about how to wield the tools of the trade and sharpen your skills around the cutting board. In today’s climate, we dine out, buy fast food, and eat TV dinners without giving a thought to where our food comes from or what is in it in the first place. 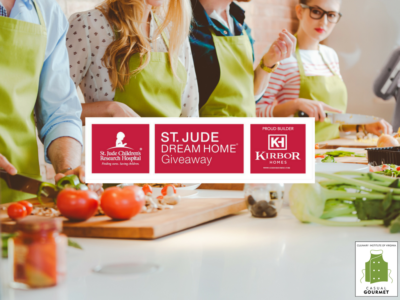 A couples cooking class can broaden your horizons and get you on your way to making and preparing healthier meals for you, your partner, and your family by introducing you to new, real, and delicious food ingredients. With the knowledge you’ll acquire at a couples cooking class, you can begin making great dishes for your significant other at home, surprise them with your kitchen prowess, and save money by having date nights indoors. What are you waiting for? A hot, fresh meal (and possibly the love of your life) isn’t simply going to walk in the door. Sign up for a Casual Gourmet cooking class from ECPI University’s College of Culinary Arts for you and your significant other today and enjoy a date night out enjoying amazing food, professional instruction, and a world-class kitchen all while discovering your inner chef. Book today as seats are limited. Bon appétit!